GANGNUENG, SOUTH KOREA - Of all the questions surrounding reports of a Russian curler’s alleged doping infraction at the Pyeongchang Olympics, the biggest is why? Why would an athlete in one of the Winter Games’ least taxing and least physically demanding sports feel it necessary to use performance-enhancing drugs? 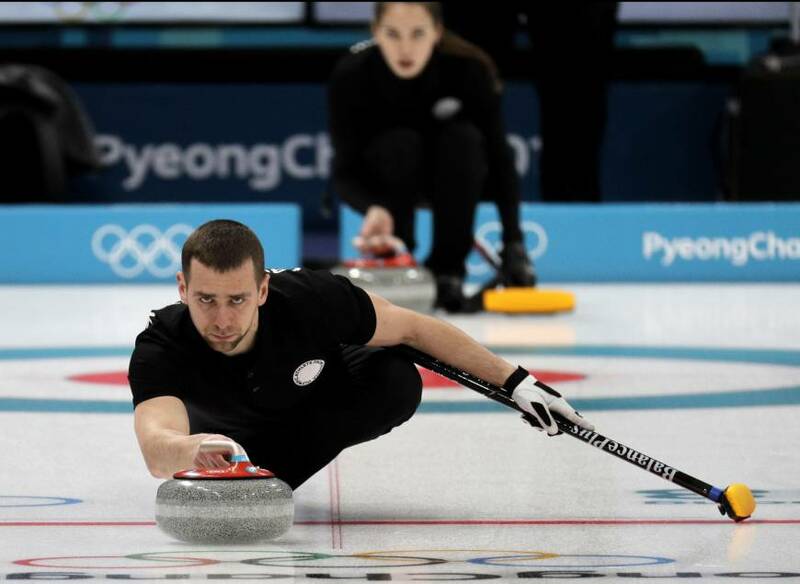 Even curlers taking part in the Olympic competition were left scratching their heads on Monday as news circulated that Alexander Krushelnitsky, an Olympic Athlete from Russia who won a bronze medal in the mixed doubles with his wife Anastasia Bryzgalova, is suspected of testing positive for meldonium, a banned substance that increases blood flow, improves exercise capacity and is favored by endurance athletes. “I think most people will laugh and ask, ‘what could you possibly need doping for?’ As I am thinking,” said Danish skip Madeleine Dupont. “I’m not even sure what use doping would be for in curling. Curlers are more likely to be accused of being out of shape than taking drugs to improve their strength or power. Since becoming part of the Olympic program at the 1998 Nagano Games, curling has worked hard to shed its image as a game played on weekends by unfit men and women. When Homer Simpson, the donut-eating, beer-guzzling cartoon character from ‘The Simpsons’ went to the Olympics, it was as a curler. Curlers going for gold in Pyeongchang are far more athletic than they were at the 1988 Calgary Winter Games, when Canadian skip Eddie “the Wrench” Werenich was told by the Canadian Curling Association to lose a few kilograms so as not to embarrass the country and the Olympics. But even on the ice in Pyeongchang, spectators are as likely to see Olympic medalists with a hint of middle-age spread as much as muscle-bound sweepers. “For me it’s tough to see doping in curling. Maybe as a brusher, but come on, hit the gym, you know,” Norwegian skip and Olympic 2010 silver medallist Thomas Ulsrud said. Even Krushelnitsky’s own Olympic Athletes from Russia teammates were at a loss to understand why a curler would need to dope or how they could, with Russia under the drugs spotlight after being accused of running a state-backed, systematic doping program for years. As a result, its athletes are competing at Pyeongchang as neutral Olympic Athletes from Russia (OAR) and on a bond of good behavior before it is decided whether they can march under their own flag at the closing ceremony. “We’ve always said how great it is that we have a sport where scandals don’t happen because we really don’t need it,” said Viktoria Moiseeva, skip of the Olympic Athletes from Russia women’s team. “With us it’s not faster, higher, stronger, it’s about being more accurate. The Russian athletes were informed about the positive test by their coaches. Women’s skip Viktoria Moiseeva said the coach “came to tell us the news” late Sunday. Russian Curling Federation president Dmitry Svishchev would not confirm the name of the athlete who tested positive, but told The Associated Press that Krushelnitsky tested clean as recently as Jan. 22, the day before he flew to a pre-Olympic training camp in Japan. Svishchev said it was possible that an athlete’s food or drink had been spiked with meldonium, which was banned in 2016, and suggested rival Russian athletes or Russia’s political enemies could be responsible. The curling team trained in Japan in January, bringing in some Russian athletes who had not qualified for the Olympics as training partners. Meldonium is the substance that tennis star Maria Sharapova was suspended for after testing positive at the Australian Open in 2016. Before it was banned, many Russian athletes used the drug, which is designed for people with heart problems. IOC spokesman Mark Adams says a failed doping test by a Russian athlete could keep the country’s banned team from being reinstated and marching under the national flag at the closing ceremony. Adams confirmed the positive test and says it could have “consequences” in evaluating the behavior of Russian athletes. He declined to name the athlete. The athlete’s “A sample” tested positive. Adams said results of a second sample would be tested, and results could be announced within 24 hours.